A team working at the Francis Crick Institute in London applied to the Human Fertilisation and Embryology Authority for a permit that would allow them to edit genes in a human embryo. If allowed, this would lead to the very first genetically modified embryo in the UK. The scientists claim they need approval to do basic research that may ” improve embryo development after in vitro fertilization (IVF) and might provide better clinical treatments for infertility,” and not for clinical research. Either way, the controversial practice is banned in all Western countries and virtually banned, although not explicitly, in the US. The Crick group leader, Dr Kathy Niakan, wants to make specific alterations to the genomes of human embryos using a new technique called CRIPSR/Cas9. This technique makes it a lot more easy and cheap to split and stitch DNA into the genome. A lot of biotech companies now use this technique for a wide array of innovative research. For instance, there’s Edita – startup backed by Bill Gates – which uses CRIPSR to edit somatic cells collected from live patients. These cells, like the T-cells (a type of white cells), have their genes edited or repaired to correct an abnormality and inserted back into the patient through a simple blood transfusion. Research that manipulates human embryo genomes, many consider, is unethical and is an eugenic line that shouldn’t be crossed. The main problem with germline embryo modification is that these modifications, which can be repairs or upgrades (genes that make you smarter, faster, stronger, less prone to diseases etc. ), are passed on to subsequent generations without consent. This is an extremely grey area which often loops into non-sense. One could argue that you can’t ask an embryo anything. “So, future baby, what do you think of mommy and daddy? Do you consent of them as your parents? Do you consent being born a “Christian” or “Muslim”?” Wouldn’t be funny if a newborn baby was like “heeeey, I’m out of here!”. Of course, other issues are far more serious. An artificially induced genetic defect could make its way into the gene pool and there’s no way you can pull it out, unless you manage to isolate populations, then a whole slew of complications arise. Then, there’s always a background complaint: modified human embryos is playing God. It’s like sidetracking evolution to create a human super race, one that’s immune to disease, is super smart and, possibly, can’t die of old age. This sounds scary and impressive at the same time. It’s really hard to pick sides, so it’s no wonder that most countries have decided to solve this issue in the easiest way possible: ban it! Well, everyone except China it seems. This April, the world learnt that Chinese researchers, again using CRIPSR, edited the genome of human embryonic cells, a world first. The cells never survived but it was the first practical demonstration, one that immediately sent shivers at the prospect of “designer children”. The Chinese embryos also bore unwanted mutations as a result of the intervention. Since 1999, the Beijing Genomics Institute is carrying research to find out which genes, if any, are responsible for human genius. The project spawned wild accusations of eugenics plots, as well as more measured objections by social scientists who view such research as a distraction from pressing societal issues. In the US, things are pretty clear: “NIH will not fund any use of gene-editing technologies in human embryos. 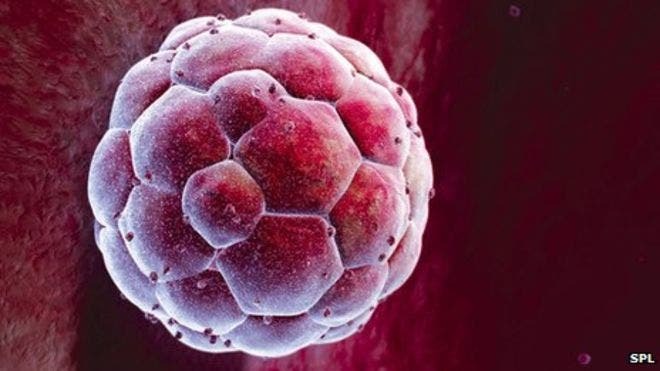 The concept of altering the human germline in embryos for clinical purposes … has been viewed almost universally as a line that should not be crossed,” said Francis Collins, director of the US National Institutes of Health. As for the UK, the Crick study might receive approval, but it most likely won’t due to public pressure. If it does, it would mark a huge milestone in genetics. Let’s just hope that it’s a fortunate milestone.